Please provide as much detail as possible regarding item 110-96-733, Arduino Nano Board. New bootloader installed, Arduino IDE needs upgade with new AVR core. 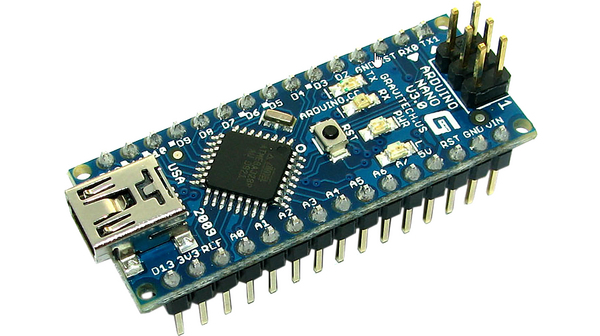 The Arduino Nano is a small, complete, and breadboard-friendly board based on the ATmega328 (Arduino Nano 3.0). It lacks only a DC power jack, and works with a Mini-B USB cable instead of a standard one.